Where were you born and where did you grow up? Was being an author something that was on your mind ever since you were a child? I was born in Louisville, Ky., but lived in several places during my childhood as I attended 13 different schools before graduating from high school. I always loved writing when I was growing up since I was basically shy and found it to be the best way for me to communicate with others. My mother was an avid reader and belonged to several book clubs so we always had books around the house. She always encouraged me to use school and public libraries. I guess I evolved into a writer from all the exposure to books. What was one of your favorite haunts a kid, a teenager and now as an adult? When I was a youngster, I enjoyed camping, hiking, going to movies, and travel. As an adult, my wife and I travel a lot, so that is a carryover from my youth. We've traveled three times to Europe, most recently to Ireland in April 2018, and once to South America as well as various places across the United States and Canada. What are some things that being a reporter, sportswriter and editor in the news media taught you? How do you think it has helped you in your career as an author? Working in the news media as a reporter helped me become observant about people, places, and things around me, which in turn, enhanced my ability to be more descriptive in my writing. As an editor, I was exposed to various approaches to writing as well as working with excellent editors who taught me valuable lessons about the craft. Imagine you were stranded on an island with nothing but a small tent and enough food for three people. Which one real person and one character from your book would you choose to be on that island with you? Now that's a difficult question since I like all the protagonists in my novels. But if I had to choose one, it would be Micah Stewart from "A Long Highway" because he is always searching for meaning in his life. As for a real person, and I assume someone who is alive, I would like to spend time with Barack Obama. I also admire philosopher Noam Chomsky, author Richard Ford, economists Robert Reich and Paul Krugman, German chancellor Angela Merkel, writer Anne Tyler, actress Meryl Streep, and feminist Gloria Steinem. I could name many more influential people I'd like to be with for an extended period of time. What was the basis of inspiration for the stories in "Laments"? Which one was the most emotional for you to write? 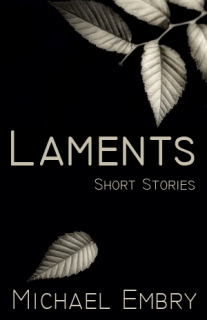 I wrote "Laments" as a way to explore feelings about actions that people come to regret. There is dark humor in several of the stories. The most emotional story was about the father who forced his son to join the army to gain some discipline, but it didn't work out that way because the young man was sent to the war front. 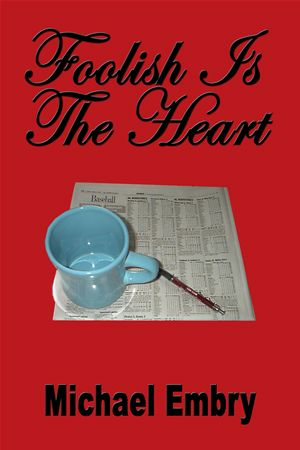 What experiences of your character Brandon Wilkes from "Foolish Is The Heart" do you relate the most to? Do you think it would be possible for an author to create a powerful character without being able to relate to them in some way? Brandon Wilkes in a confirmed bachelor who is afraid to make personal commitments. I may relate to that somewhat because I know that when a person does that, they run the risk of being hurt. But that's life. I think an author create powerful characters simply through life experiences and observations of others. I believe most fictional characters are compilations of traits and behaviors that authors see in others. 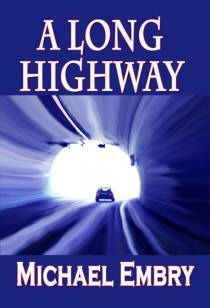 What was your thought process while writing "A Long Highway"? Have you ever thought of making such an escape? 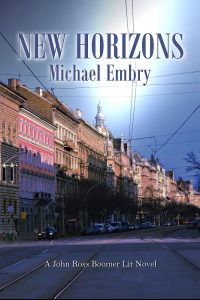 The novel deals with midlife crisis, especially after a person goes through a divorce. 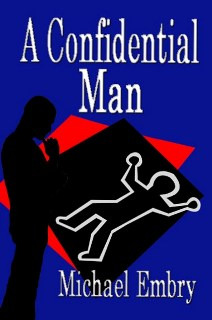 The protagonist, Micah Stewart, tries to make adjustments in dealing with his ex-wife and balancing time with his children as well as finding meaning in his life after losing a friend during workplace violence. While never experiencing what Micah had to go through, I have taken off for a few days to gather my thoughts and focus on my present condition and what I want to do in the future. Of all your books, which was has the most complexity in terms of research done and plot twists, etc.? 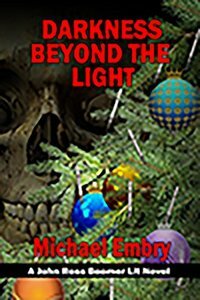 I believe my latest novel, "Darkness Beyond the Light," may have involved the most research and plot twists because the story has several levels involving opioid addiction, and how a family comes to terms with it, as well as family dynamics with the introduction of a caustic mother-in-law, law-enforcement practices, and medical emergencies. 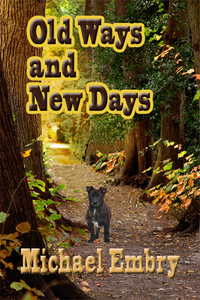 I also had to tie things together with the first book in the series, "Old Ways and New Days," and the third book in which I'm currently writing, and should be published in 2018. What are some ideas or messages you want to put across with the book "The Bully List"? Were you ever bullied as a child and if so, what did you do to combat it? 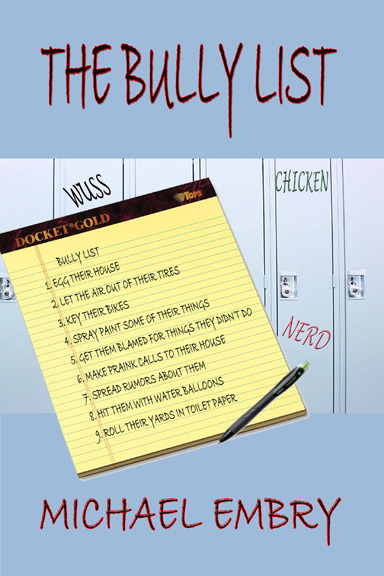 With "The Bully List," I wanted to write a book that would resonate with young people who are bullied. While there is some humor in the story, the message is that those who are subjected to mean and cruel people need to seek help from their parents, school officials, and law enforcement. I was subject to some bullying in school, and I think most people are to varying degrees, but the situation is much worse now because of social media. What do you think characterizes your writing? How do your books compare to the sort of books you like to read? I write contemporary novels that deal with the everyday challenges, be it on the personal level or work or other activities. Those kinds of books are those that I generally read although I do read a variety of genres and nonfiction, especially biographies and those about major events in history. 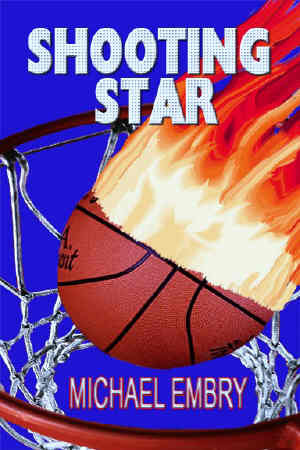 I would like to believe that my novels compare favorably to those I like to read, but that should be left up to readers. Have you ever thought about writing a series? If so, what would it be about? I am writing the "John Ross Boomer Lit" series, beginning with "Old Ways and New Days" and followed by "Darkness Beyond the Light." I'm currently working on the third book. The series is aimed toward baby boomers, those born between the 1946-1964, and deals with the trials and tribulations of growing older. I often refer to the series as "coming-of-old-age" novels. Have you ever met a fan on the street or in a random public place? What's the best compliment a reader has ever given you? I occasionally met fans at various book fairs, book signings, and literary events. A compliment I recall was a woman telling me how much an antagonist in one of my novels really infuriated and got under her skin so much that she wanted to shake her. That told me that the character really became "alive" for her. 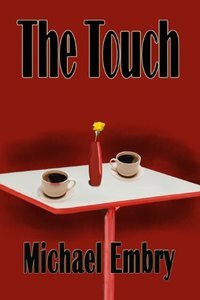 I've had comments from other readers about how certain characters touched their lives. That's very gratifying for an author. What are some (work related) questions you wish people would ask you more? Could you tell us how you would answer? Some questions that I wish people would ask more often is about writing a novel and what does it entail. It seems like many think that it's strictly putting down words on a computer screen without preparation and research. A contemporary novel, and probably most novels for that matter, must feel real to the reader, even science fiction, especially as it relates to the characters. Another question seldom asked is what happens after a book is published? For an author, that means marketing and promotion that continues for a long time. Authors have to develop a platform that draws readers to their works. There are about one million books published each year (and likely to grow for the foreseeable future) so the author and publisher must work together on several levels to attract readers and sell books. Being a writer is a lot of hard work. 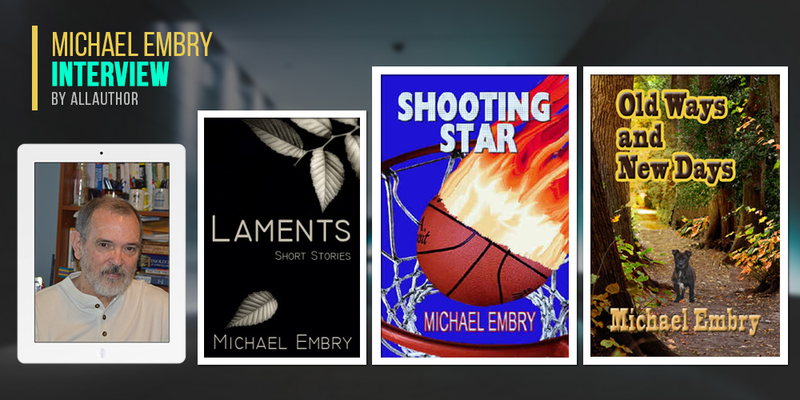 Although he was born in Louisville, KY, author Michael Embry moved a lot and attended 13 different schools before graduating high school. He always loved reading and writing, courtesy of his bookworm mom, and it helped him to communicate with others. Working as a reporter helped Michael become observant about people, places, and things around him, enabling him to be more descriptive in his writing. He writes contemporary novels that deal with the everyday challenges and believes most fictional characters are compilations of traits and behaviors that authors see in others. 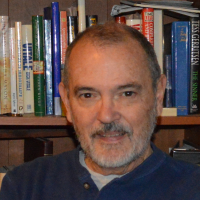 Currently, he is working on the third book in the John Ross Boomer Lit Series which should be published in 2018.